A South Bay attorney who specializes in cases against automakers says Tesla has a rough road ahead after reports that one of its vehicles was involved in a fatal crash while it was in self-driving mode. It's the first self-driving car fatality in the U.S.
Richard Alexander, based in San Jose, said that while it was just a matter of time before this type of accident occurred, he believes the self-driving technology is not going away, and thus it's high time automakers take a step back and ensure their automated driving systems are safe. "Tesla has a major headache because it's not just one vehicle," Alexander said. "It's probably a systemic problem that goes across all platforms." The accident, which occurred last month in Florida while a Model S was on "autopilot," killed the driver after the car failed to brake when a big-rig made a left turn in front of it at an intersection on a divided highway. There was no traffic signal at the intersection, according to the National Highway Traffic Safety Administration, which is investigating the crash. If it is determined there is a safety issue with the autopilot system, the agency likely would issue a recall. For now, Alexander says both carmakers and drivers should be extra cautious. "We’re going to see (self-driving systems) fully develop with vehicles, but we’re at the very beginning of that change, so now is the time to be very alert," he said. Tesla echoed the warning, saying in a statement that even in autopilot mode drivers should be in control. 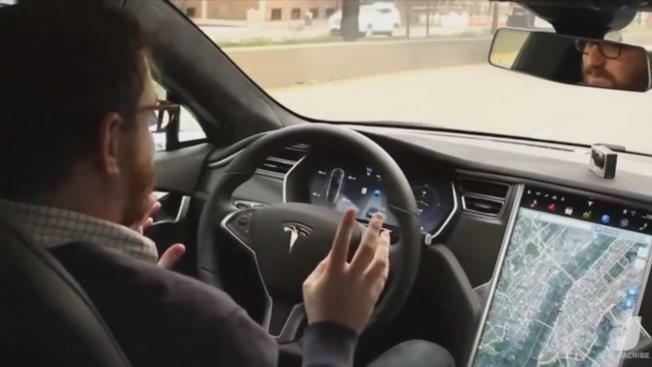 Autopilot “is an assist feature that requires you to keep your hands on the steering wheel at all times," and that "you need to maintain control and responsibility for your vehicle” while using it," Tesla said in a statement.